The number of food halls in the US is increasing at a rapid clip. There were just 105 in 2016, and that number is expected to double by 2019. They’re not just in the metropolitan areas where you’d expect food halls to flourish, either. Delaware will soon get its first food hall, as will Boise, Idaho. Three food halls are slated to open by 2020 in Kansas City alone. Food halls are spreading like malls in the ‘80s, but unlike the food courts serving up Panda Express, they emphasize local businesses and diverse cuisine — and they’re a heck of a lot tastier. But while the trend continues to expand, a few food halls stand out from the pack as the ones worth traveling to. From coast to coast, these are the 10 best food halls in the US. 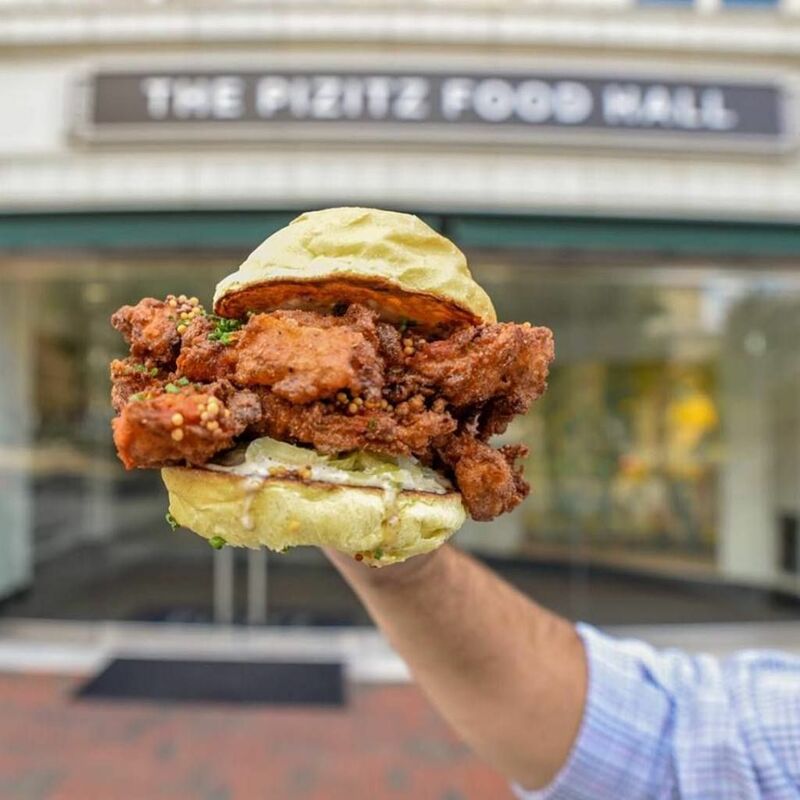 Birmingham’s nickname is the “Magic City,” and at the Pizitz Food Hall, the magic is all in the food. It shouldn’t come as a surprise that Birmingham makes the list of great food halls in the country. Zagat named Birmingham a rising food city in 2015, and BHam chefs are consistently nominated for prestigious James Beard Awards. Recently, Alabama’s largest city has been in the midst of a major downtown update, and this expansive food hall in a revamped industrial building is a big part of that makeover. The Pizitz Food Hall opened in early 2017 and has attracted a number of international-minded chefs. 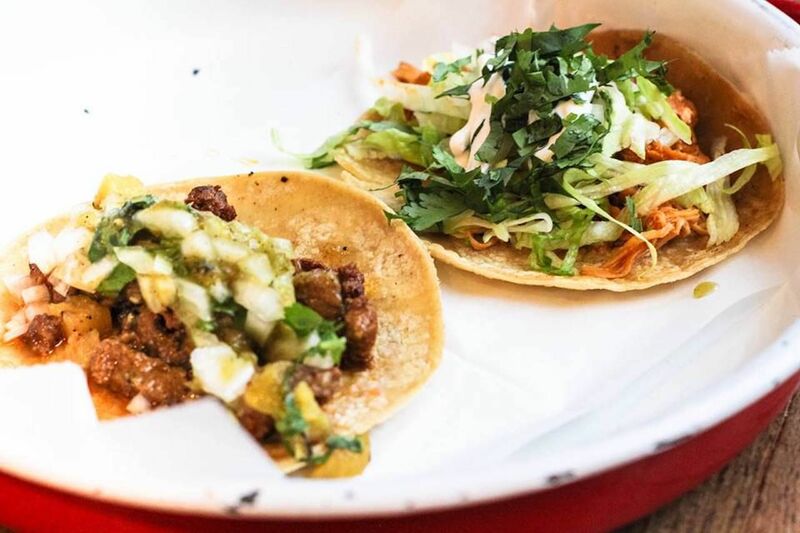 There are 15 restaurants with options like Indian street food, Nepalese cuisine, Ethiopian food and coffee, Mexican food, Southern biscuits, and more. The Louis Bar acts as a central meeting point for cocktails and local beer. If you’re looking for something non-alcoholic, the bar has you covered with milkshakes and the South’s favorite ginger ale, Buffalo Rock. There’s a lot to take in with spacious outdoor seating and plenty of room inside for when you want to chow down while avoiding the unbearably humid Alabama summers. What to eat: This is Alabama, so make your first stop The Alabama Biscuit Company for a Southern biscuit made with stone-milled ancient grain and local ingredients. Ghion Cultural Hall has strong coffee and classic Ethiopian dishes served atop injera (flatbread) made fresh every morning. Visit Mo:Mo: for Himalayan/Nepalese dumplings and Vietnamese banh mis. An incubator kitchen called REVeal Kitchen: The Preservery hosts Birmingham’s rising chefs, with a new group taking over every quarter. There are many great food halls in California — especially in Southern California. You could spend your whole life making stops at places like the new 4th Street Market, Santa Barbara Public Market, and Anaheim Packing House. But that sounds like an incredibly unhealthy and expensive hobby, so focus first on visiting Grand Central Market. It’s the most famous and has been covered by countless publications, but that’s just because great things deserve great attention. Grand Central Market has been in continuous operation since 1917. It’s changed a lot over the years, just like its surrounding neighborhood of downtown LA has. There were more than 90 vendors back in its early days selling just about anything you could ever ask for. The one-stop feel is the same today with places that focus on just groceries, sweets, or juice. Then there’s the food hall portion. Some 30 food stalls sell everything from breakfast to lunch to cheese, cheese, and more cheese. Come early and stay late — because there’s a lot to take in here. 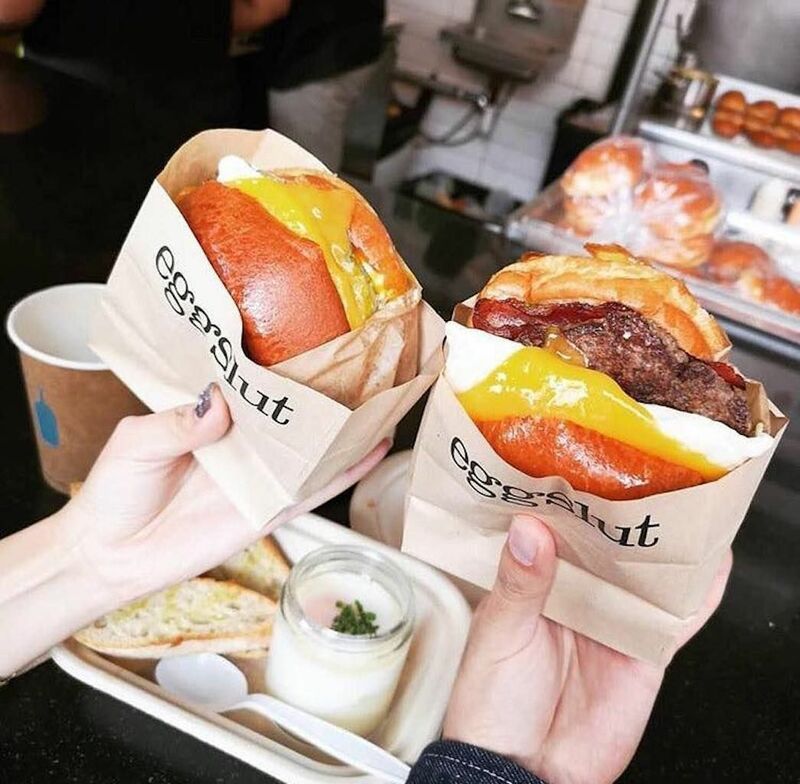 What to eat: Get the best egg sandwich you’ll ever eat at Eggslut, then stop by G&B Coffee for a hop-infused iced tea to wash it down. Roast To Go has been serving tacos, burritos, and traditional Mexican food since 1952. Sarita’s Pupuseria serves meat and vegetarian pupusas (a Salvadorian dish made from thick corn tortillas filled with whatever delicious option you choose). Homey California-Chinese dishes like wonton soup, fried rice, chop suey, and chow mein are served up at China Cafe. Don’t leave without grabbing some cheese to go from DTLA Cheese and Kitchen. Florida gets a lot of flak for, well, being Florida. Say what you will about the 67-year-old Florida woman who shoplifts in a turkey costume or the House of Representatives candidate who believes she was abducted by aliens — Floridians know how to build a good food hall. The whole state is filled with them, and trying to pick one is tough. Case in point: Our runner-up pick, La Centrale, is a 40,000-square-foot food hall dedicated to everything Italian. But there’s one food hall that really stands out as being spectacular, and that’s 1-800-LUCKY. Located in the artsy Wynwood neighborhood of Miami, it’s different than your standard industrial-building-turned-restaurant hotspot. It’s a 10,000-square-foot experience with a hip-hop soundtrack, two full bars, a small theater, and a karaoke lounge. Where to eat: There are seven vendors here, ranging from Vietnamese to Chinese to Japanese to Hawaiian. Les Banh Amis is Miami’s first Vietnamese deli, and it’s doing it right by making everything from scratch — even the liver pate and head cheese. Lotus and Cleaver has Peking duck and wok specialities. For dessert, hit Taiyaki for black sesame ice cream. For the full experience, do karaoke. Drop your fears of being judged for singing and just do it — and order bottle service while you’re at it. The food hall in Ponce City Market is on the short list of places worth fighting Atlanta’s rush hour traffic to get to. Located in what was once a Sears, the market is the largest reuse of a historic building in Atlanta. To say this place is big is an understatement on the level of saying that Georgia sells a few peaches. The Central Food Hall, owned by the same people behind Chelsea Market in New York City, has attracted James Beard Award-winning chefs Anne Quatrano, Linton Hopkins, and Sean Brock. But you don’t need to be an avid follower of the who’s who in the restaurant world to appreciate all that Ponce City Market has to offer. There are Southern classics, sweet treats, Italian spots, and street food from around the world. Then there are the nearby attractions. A short elevator ride away from the food is Ponce City Market’s rooftop with its 18-hole mini golf course and other games. In the winter, the roof turns into a skating rink. Again, it’s worth the traffic — we promise. 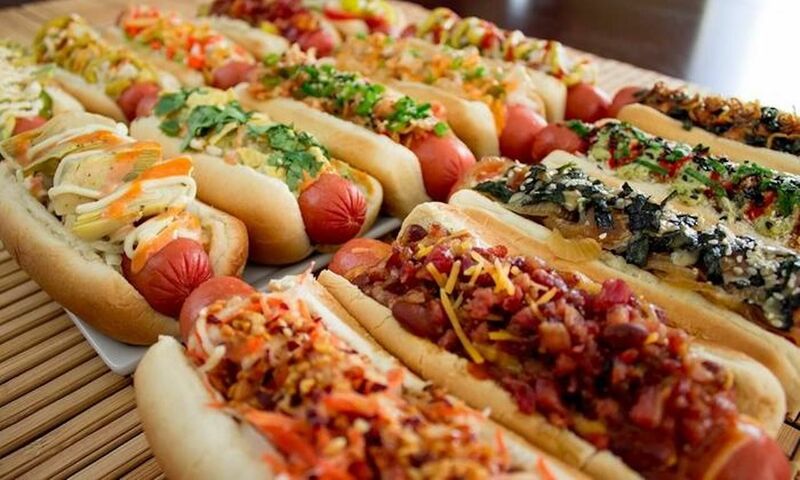 What to eat: Munch on a specialty hot dog while drinking draft cocktails at Drafts + Dogs. Brezza Cucina has a burrata and raw bar menu with happy-hour oysters every day. Miso Ko is a small sushi counter with made-to-order specialty rolls, and if you’re still hungry afterwards, Ton Ton ramen is right next door. Hop’s Chicken is the answer to your fried chicken biscuit cravings, and don’t leave without a drink at the Nine Mile Station beer garden. 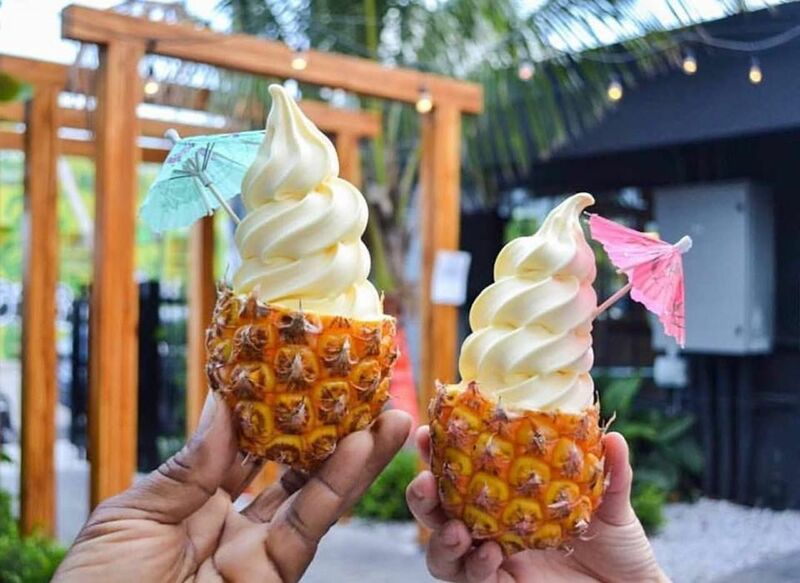 Hawaii didn’t need a food hall to get on people’s radars, but the people on the islands have made it a food-hall paradise as well as a, well, actual paradise. 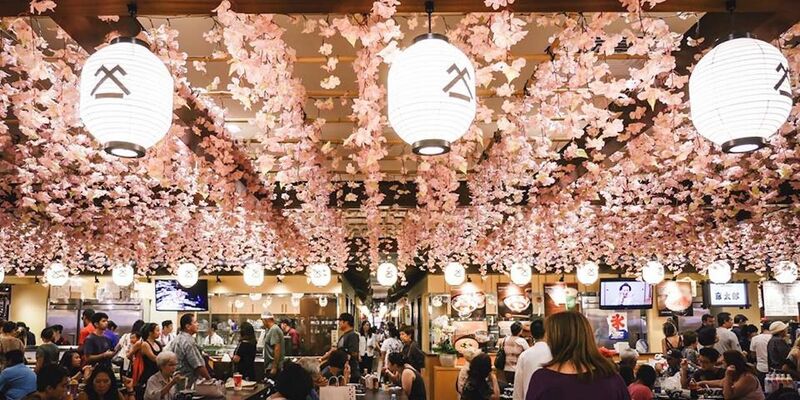 Shirokiya Japan Village Walk has every type of Japanese and Japanese-Hawaiian food you could dream of. In all, Shirokiya has 32 food stalls and 14 specialty vendors. There’s a whole section devoted just to food made with Wagyu beef. There are multiple ramen and sushi options, a place for Spam dishes, and a Japanese sweets shop. There’s also international places serving up burgers, Chinese, Vietnamese, and Thai food, and a vintage cave bakery that’s the only place in the country that uses Shirakami-Kodama yeast, which creates an enticing, sweet smell. Afterwards, unwind at the spirit sanctuary with eight buddhas and the 12 animal signs of the Japanese Zodiac — or with $1 beer at the beer garden. What to eat: The first thing you need to do is head to the Gourmet Plaza and take a long look around. The 14 high-end bistros have plenty of Wagyu, sashimi, and hot pots. After that, listen for the sound of a drum. That means that a batch of okonomiyaki, a fried savory pancake made of cabbage and noodles, is ready over at Takoyaki Yama-chan. Grab a Spam, egg, and avocado sandwich at Musubi Cafe Iyasume because this is Hawaii, and you’re not doing it right if you’re not eating Spam. Wash it all down with fresh juice from the Honolulu Juice Factory or those sweet, sweet $1 beers. 6. Latinicity Food Hall in Chicago, Illinois. Chicago is another city that knows how to make a great food hall, probably because it’s so cold in the winter that your whole group will freeze if you go outside before deciding where everyone wants to eat. You can’t go wrong with places like Revival Food Hall, Foodlife, Super H Mart, or the Chicago French Market. 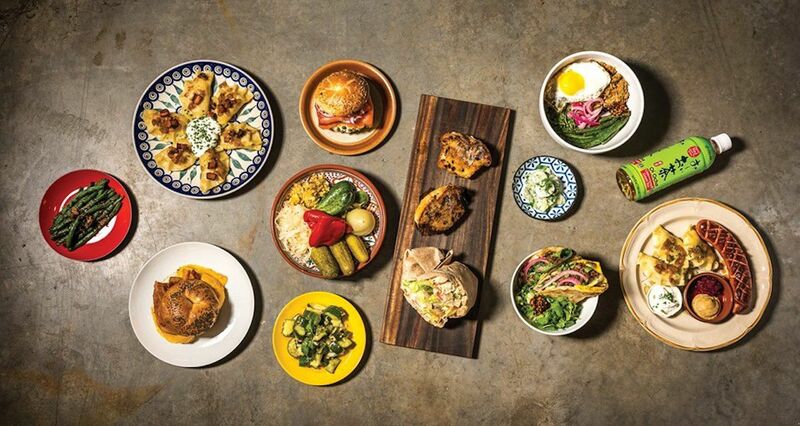 But it’s the Latinicity Food Hall that’s most worth visiting. It’s on the third floor of Block 37, and all of the chefs create dishes with a Latin street food vibe. There are eight kitchens, a Mexican restaurant, cafe, full bar, and lounge. A DJ plays Latin music on Fridays, and there’s a bottomless brunch on Sundays. Yes, bottomless brunch in a food hall. What to eat: Order ceviche at the Sushi & Ceviche Bar. For something more filling, go to Tortas & Molletes for sandwiches packed with chicken or carne asada, then packed some more with avocado and cheese. Meat lovers should head straight to Saladero Latin Grill for Brazilian steak, salmon, and chicken. Hit the large bar in between meals for takes on mojitos, caipirinhas, Pisco sours, and a long list of tequila and mezcal cocktails. 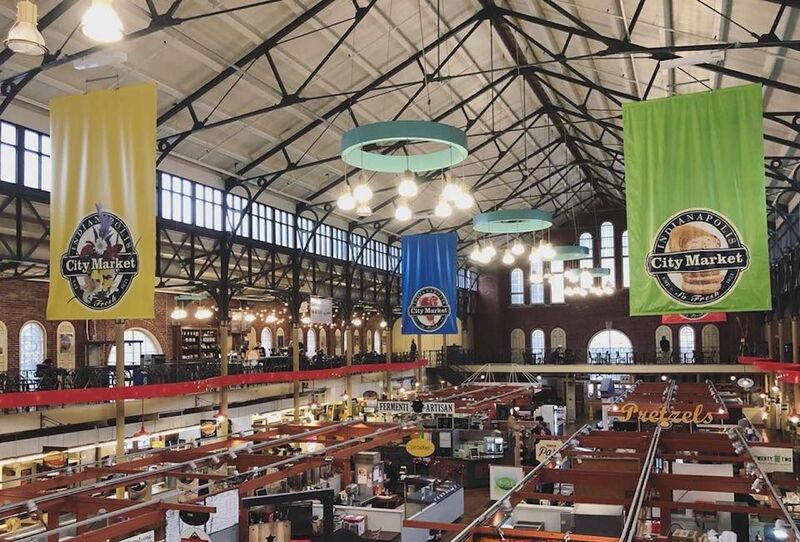 The Indianapolis City Market first opened in 1886 as a place for farmers to sell meat and produce. It grew over time to include prepared foods and restaurants and is now listed in the National Register of Historic Places. Today, It’s moved beyond what it once was while keeping to its food-centric roots. There are food stalls, specialty coffee shops, a craft beer bar serving only Indiana brews, and, of course, fresh meat and produce. It’s easy to get lost in the lower level while strolling past vendors selling everything from Middle Eastern food to cheesesteaks, while the upper level has drinks and seating. What to eat: Ditch the meat for a meal at vegetarian hotspot Three Carrots. For a taste of Paris, hit the street-style creperie 3 Days In Paris, which is perfect whether you like your crepes sweet or savory. Gomez BBQ has slowly smoked meats whether your animal of choice is pork, beef, or chicken. Don’t miss The Tamale Place for traditional tamales. Before you leave, sample a beer or three at the Tomlinson Tap Room, which serves beer from great Indiana breweries like Taxman, Bar Hands, and Triton. New York City doesn’t necessarily need food halls. Where food halls have sections dedicated to certain types of food, New York has entire neighborhoods. But if you want to try all that diverse cuisine in one go, head to Dekalb Market. While Chelsea Market in Manhattan gets a lot of attention, Dekalb Market in Brooklyn has far fewer crowds and even more food options. It opened in 2017 and now has around 40 vendors selling everything from Polish pierogies to arepas to kebabs. There are also plenty of dessert spots in the winding food hall, along with micro versions of city staples like Katz’s Deli. And, unlike many of the other food halls in New York City, there’s plenty of seating at Dekalb Market, so you don’t ever have to try and slurp noodles while standing in the middle of a weaving horde of people. Where to eat: Before strolling around being indecisive about what to eat, grab a beer at Craft + Carry or a glass of wine from Brooklyn Wine Cellar. Grab an arepa from Arepa Lady while you sip, then head to Pierogi Boy for a sampler plate. (Go with friends because it’s a hefty amount of food.) Grab a pickle at Guss’ Pickles as a mid-meal snack then Lioni’s for heroes or Bunker for a banh mi to go. While you’re at it, you can’t go wrong with a key lime pie from Steve’s or a scoop of Ample Hills ice cream. 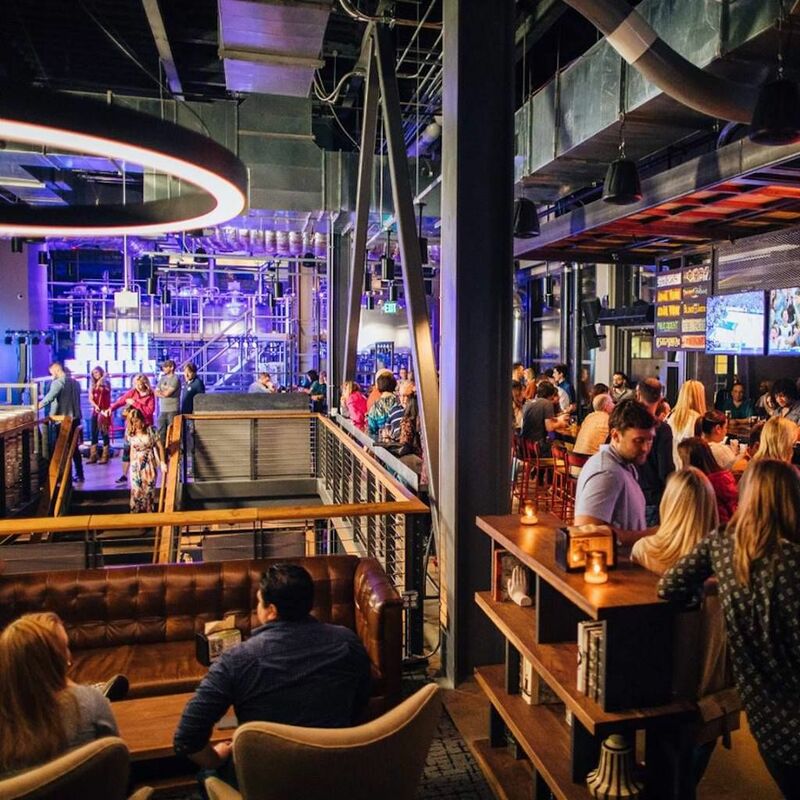 Legacy Food Hall describes itself as “equal parts food hall, beer garden, craft brewery, and live entertainment destination.” If that seems like a lot, consider that it’s a Texas-sized, 55,000-square-feet, three-story venue with six bars and a two-floor brewery. Live bands set the soundtrack, and a slide takes you from the third floor at the top of the brewery to the second-floor bar area. It opened in late 2017 and is expected to one day be the most visited tourist destination in Texas. Don’t let that scare you away, though, because it’s a food haven. What to eat: If it’s a weekday, make sure your first stop is at the bar for the 3:00 PM – 7:00 PM happy hour. If craft beer is more your speed, grab a brew at Unlawful Assembly Brewing Co. Eat a naan wrap at Blist’r Naan Wraps or go German at Degenhardt’s Brat Haus. Détour wine bar is always a happy stop whether you want a glass or a bottle, and just try to eat only one bao at Enter The Bao. Before you leave, grab a pecan pie (classic, chocolate fudge, or bourbon) at Everett and Elaine Bakery. 10. Pike Place Market in Seattle, Washington. The original Pike Place Market opened in 1907, making it one of the oldest continuously operated farmers markets in the US. But this is 2018, and we’re here for the food that’s already lovingly prepared. 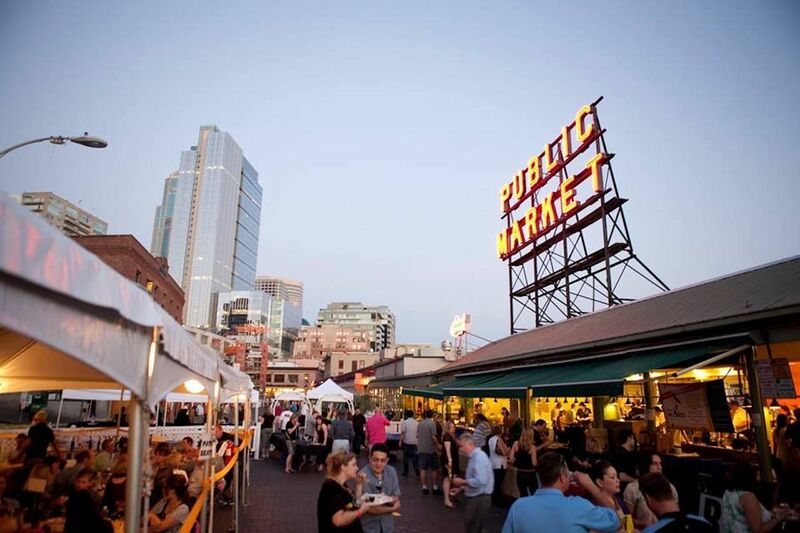 Located in downtown Seattle, Pike Place is a mix of historic buildings and up-and-coming people in the Seattle food scene. It’s the type of place that you feel good about supporting. It provides services for low-income individuals and acts as a community gathering point with a senior center, food bank, childcare area, preschool, and clinic. Amidst all of that is some of the best food you’ll find in the Emerald City. Where to eat: Take a dip into traditional Persian food at Farvahar Persian Cafe or hit Kastoori Grill for a taste of the intersection of Indian, Nepalese, and Tibetan food. Pike Place Chowder will cure any rainy day blues, and Radiator Whiskey will heal your soul with smoked meats and house-branded whiskey drinks.